Starting life as a pop-up in Peckham, the stylish Thai eaterie Som Saa recently moved to a permanent site in a former fabric warehouse in London's Spitalfields. The interior, designed in conjunction with Coriander Buildings, remains true to its history. 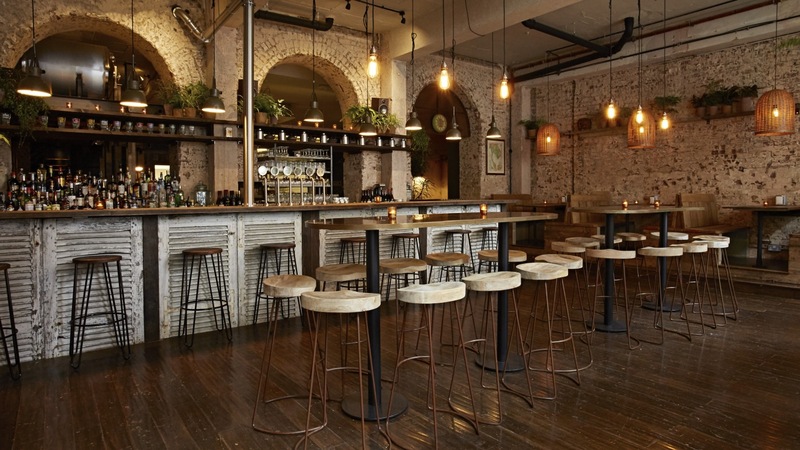 Exposed brickwork, wooden tabletops, and distressed walls all emphasise the building’s industrial past whilst the heritage of the food is felt in the vintage decorations sourced from trips to Thailand. The bar area is illuminated by Czech army field lamps. Restored by the skinflint team the 1950s pendants, retain their original green surface finish and provide elegant feature lighting.